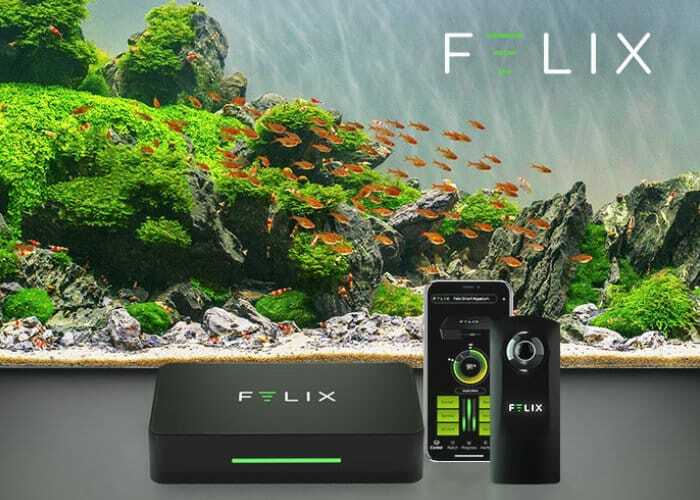 Aquarium owners searching for a way to control their fish habitat remotely from their smartphone may be interested in a new aquarium smart controller called Felix. The system has been designed to transform any standard aquarium into a smart aquarium and offers both view and control by the companion application and 360 degree camera. Watch the demonstration video below to learn more about Felix and its features. Felix is now available to backfire Indiegogo with earlybird pledges available from $59 or roughly £46. If all goes well with the crowdfunding campaign and manufacture backers can expect to start receiving their smart aquarium controller sometime near April 2019. For more features, specifications and a complete list of all available pledge options jump over to the official Kickstarter crowdfunding campaign page by following the link below.